There are many parts of the body that can be affected by vein disease. This is to include varicose & spider veins, swollen legs, skin damage, and skin ulcers. include varicose veins, swollen legs, skin damage, and skin ulcers. Body sculpting techniques target the stubborn rolls and bulges of fat along the waist, sides and other problem areas that simply are not responding to regular exercise and diet regimens. 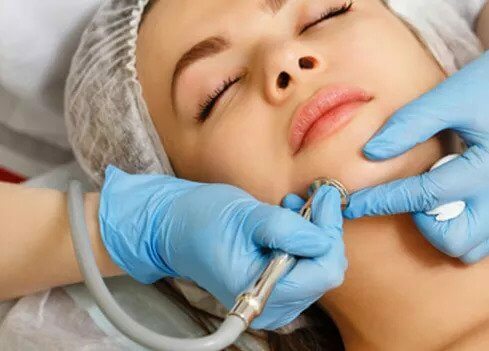 Some of our treatments available include Microblading, Microdermabrasion, Microneedling, Hydrafacial, tattoo removals, laser treatments, laser hair removal, botox fillers (Restylane, Bellafill, Dysport, and more). Metropolitan Vein and Aesthetic Center’s vein and cosmetic specialists use the most innovative technologies available, customized for each individual patient. We offer safe, advanced treatments that produce dramatic results without the risk of surgery and long recovery times. Our minimally invasive procedures are designed with you and your busy lifestyle in mind. State-of-the-art vein and aesthetic treatment. Our vein treatments can eliminate painful, unsightly bulges resulting from spider vein treatment and varicose veins. 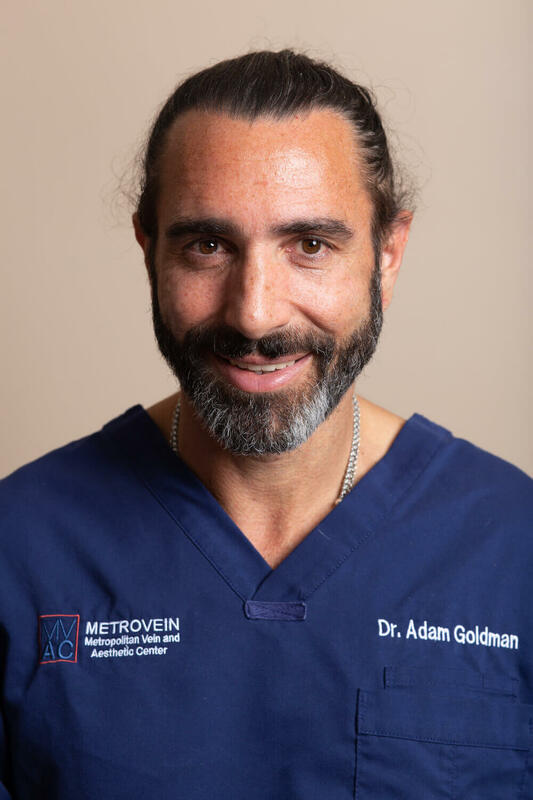 Dr. Adam Y. Goldman and the dedicated professionals at Metropolitan Vein and Aesthetic Center will evaluate your condition and recommend treatment options. We use state-of-the-art imaging to assess each patient and advise the most appropriate procedures. In most cases, these procedures can be done in less than an hour, and you can return to normal activities the same day. Dr. Adam Y. Goldman is boarded in internal medicine and cardiovascular diseases. Click here to learn more about our procedures. At the Metropolitan Vein and Aesthetic Center, we understand the amount of time and effort you spend to stay fit and healthy. Sometimes diet and exercise just aren’t enough to get the look you desire. Body sculpting techniques target the stubborn rolls and bulges of fat along the waist, sides and other problem areas that simply are not responding to regular exercise and diet regimens. We believe in living and feeling beautiful. With age, external circumstances and genetics, what we consider imperfections can be fixed or improved with any of our treatments. We focus on delivering our treatments with the utmost attention to detail, latest technology and minimal pain for our patients. Some of our treatments available include Microblading, Microdermabrasion, Microneedling, Hydrafacial, tattoo removals, laser treatments, laser hair removal, botox fillers (Restylane, Bellafill, Dysport, and more). Click here to learn more. Dr. Adam Goldman received his BA from Columbia University in New York followed by his medical degree from Albert Einstein College of Medicine in New York. He subsequently did his initial residency in Internal Medicine at Mount Sinai Medical Center in New York followed by his fellowship in Cardiovascular Diseases at Albert Einstein/Jacobi Medical Center. For the second half of his professional career, he becomes focused on venous disease and aesthetic medicine. After additional specialty training, including studying with the world-renowned expert and originator of tumescent anesthesia, he launched the Metropolitan Vein and Aesthetic Center. He is currently boarded in Internal Medicine, Cardiovascular Diseases and a diplomate of the American Board of Venous and Lymphatic Medicine. He is a member of the American Academy of Aesthetic Medicine. "Dr. Goldman did my leg and within less than a week I was feeling very happy with the result. I cant wait to go back at the end of the month, to do my other leg. He is very nice, very understanding, listens to you and gives you his honest opinion.